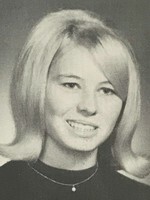 Norma Lou Hein, 43, died Saturday, December 26, 1992 after a long illness with canceer. She is survived by her husband, Ronald; daughter, Diane McClure, Grand-daughter, Netiah McClure, mother, Norma Powers, sister, Karen Lubahn; and brother, Dennis Powers. Viewing will be Wednesday, December 30, from 8:00 to 5:00 at Purdy and Walters at Floral Hills Funeral Home, Lynnwood. Services will be Thursday, December 31, at 2:00 pm in Floral Hills Chapel.